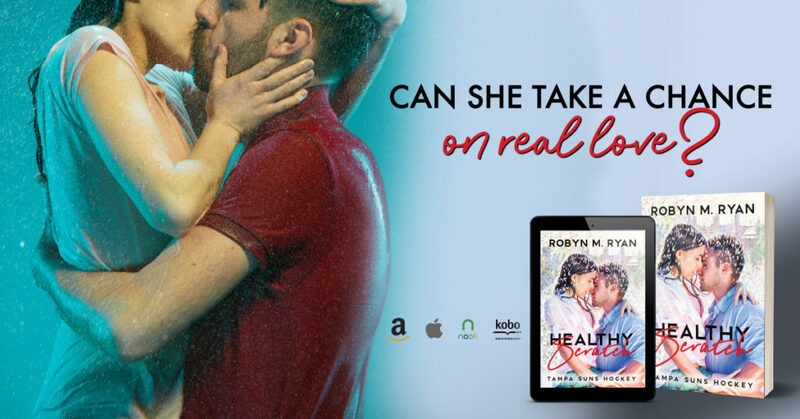 Healthy Scratch by Robyn M. Ryan is the hockey romance you've been waiting for! I have to admit, I’m new to Robyn M Ryan, but that doesn’t mean I didn’t fall in love with her characters. I loved getting to fall in love with Dave. He was such an amazing man. In the beginning, he and Lauren had a mutually beneficial relationship. Lauren and her business partner are looking to relocate. When gets traded to Tampa, he decided to lay it all on the line. I loved the woman Lauren is. I loved how she has overcome so much. She has a past, one that has influenced her and made her see the world, differently. This book deals with some pretty heavy issues. I loved how it helped Lauren in a positive. I also love how Dave helped to breakdown her walls. I loved this book from start to finish. I loved getting to know these characters. I can’t wait to see what’s to come. Please check out this awesome book!